Built for lightweight speed, support and agility in the outdoors, the adidas Terrex Fast X Low shoes have a women’s-specific fit and a high-abrasion mesh-and-synthetic build for guaranteed stability. 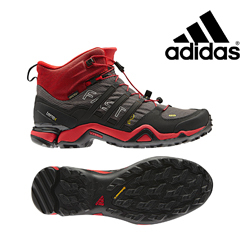 Move fast on the mountain in the very lightweight, athletic men's adidas Terrex Fast R Mid GTX shoes. 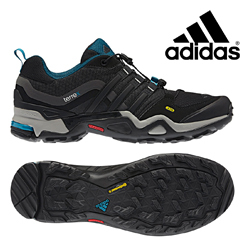 They have a TRAXION™ outsole with Continental™ rubber for optimal wet and dry grip. This men's adidas Terrex Feather Jacket is a fully-equipped, helmet compatible GORE-TEX® PRO SHELL jacket that offers complete protection and breathability in the toughest weather. FORMOTION® technology provides an articulated performance fit while side ventilation helps to control body climate. 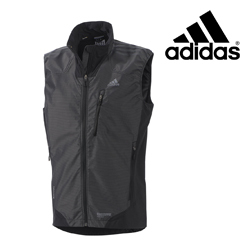 This men's adidas Terrex Hybrid Soft Shell Vest features GORE WINDSTOPPER® ACTIVE SHELL in a hybrid construction to keep you moving fast and remaining comfortably protected from the elements. This vest is lightweight and easy to pack. 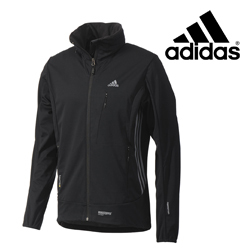 The women’s adidas Terrex Swift Light Hooded Soft Shell Jacket sheds rain and snow, and it resists wind with a Durable Water Repellency (DWR) finish. 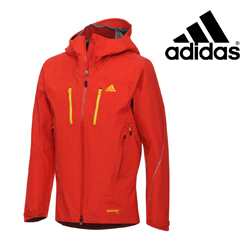 The wind won't change your course in the men's adidas Terrex Windstopper Fast Jacket. Made with a GORE WINDSTOPPER® soft shell that helps shield you from the wind, the outdoor jacket features an active FORMOTION® design that moves with you every step of the way. 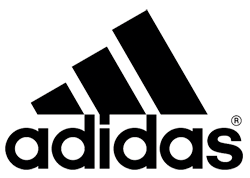 adidas – a name that stands for competence in all sectors of sport around the globe. The vision of company founder Adolf (“Adi” ) Dassler has long beco me reality and his corporate philosophy the guiding principle for successor generations. The idea was as simple as it was brilliant. Adi Dassler’s aim was to provide every athlete with the best possible equipment. It all began in 1920, when Adi Dassler made his first shoes using the few materials available after the First World War. 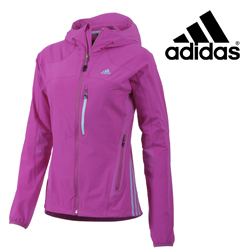 Today, the adidas product range extends from footwear and apparel to accessories for all kinds of different spor ts.